For Sale: A Larcan 1.5kW amplifier module pallet suitable for 6m or conversion to 2m. I have just a few of these modules left.This is the 6 FET lo-lo model that is very easily used on 6m. It can also be modified for 2m operation with modification data already published online. 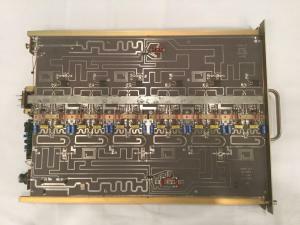 This amplifier module was removed from a working channel 2 transmitter. $525.